Food is the main source of nourishment that provides our bodies with the materials necessary to live. Our organs need nutrients to function properly, and our skin is the largest organ of our body. It’s important to nourish our skin from the inside out and vice versa to keep it in good condition. The following are some of the best foods that can be eaten or applied topically to provide the nourishment and protection your skin needs to be healthy and beautiful. Cocoa makes your skin firmer and more resilient because it adds hydration, and dark chocolate has high amounts of antioxidants, such as flavonols. Daily consumption of a couple pieces of chocolate with at least 70 percent cocoa can improve your skin’s radiance. 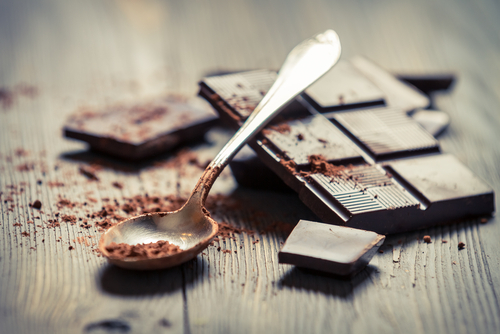 Cocoa also contains caffeine, which may help reduce puffiness when applied directly to the skin. Look for a body cream or lotion that contains cocoa for calm, soft skin. This fruit is full of polyphenols, an antioxidant that fights free radicals and improves blood flow. 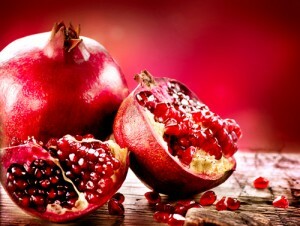 Eat pomegranates for smooth, glowing skin, and apply pomegranates and the peel from this superfruit to your skin for wrinkle-reducing antioxidant benefits. Everyone has been raving about the numerous health benefits of eating greek yogurt. The protein in this type of yogurt is great for keeping you full longer as well as firming skin and preventing wrinkles. When eating Greek yogurt, nonfat is the way to go with fewer calories and more protein. Full fat Greek yogurt is great for using as a skin mask to add hydration, and the lactic acid in it will exfoliate while the probiotics help treat acne. Sunflower seeds and sunflower oil are both high in healthy fats and vitamin E. Healthy fats are important for helping the lipid-based cell membranes in the skin retain water and nutrients to hydrate and protect against sun damage and pollutants. 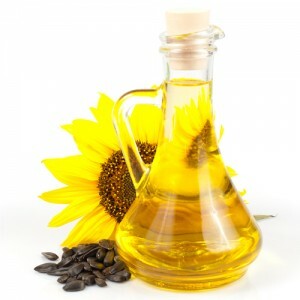 The high vitamin E and essential fatty acid content of sunflower oil makes it an excellent moisturizer for dry skin. If your skin is already showing signs of aging, our medical spa services can provide you with noninvasive rejuvenation for fresh, healthy skin. Our skin care procedures can improve redness, hyperpigmentation, wrinkles, fine lines, skin texture, and other signs of aging. Please call (949) 515-4111 or fill out our online contact form to schedule your consultation today.